S-corporations (“S-corps”) are the technical term for the federal tax election, aka IRS Form 2553, and are named after their place in the IRS code, subchapter “S.” S-corps are generally limited to two specific business entity types, a limited liability company (“LLC or LLP”) or an [old fashioned] incorporated company (“Inc.”). Once a company has been formed or incorporated, a Form 2553 is completed and offered to the IRS in hopes of acceptance (and sometimes requiring a blood sacrifice!). What this means in practice (at least for NC & SC) is a few actions to take in your home state before the magic of S-corp status is granted. The first step in forming a business is to incorporate a company or form an LLC to secure the business name within your state. Many states (like NC or SC) allow you to incorporate an entity yourself or you can use a local attorney (good option). For the DIY options, there are a few nationally reputable options, a company like Legal Zoom (expensive DIY option) or ParCorp Services (a more cost efficient DIY route). For the novice business owner or those businesses that are starting with multiple owners, we highly encourage the use of an attorney to guide the process of setting up an LLC or Inc. For single owners or those who can easily navigate bureaucracy, we recommend either DIY option depending on your budget. NC and SC also offer expedited incorporation services which greatly reduce the time it takes to make the company official. It also pays to search your state’s Secretary of State (or equivalent agency) for names to make sure you will be able to actually incorporate/form the company under the name you choose. Once the state has accepted your business (great, now you can be served and sued!) and the address listed on your company has been added to the national junk mail listing, there are only two more steps until S-corp status. Using the name that you incorporated, you now have to obtain a Federal Identification Number, which will register you with the IRS. This can be accomplished with a phone call, a fax, or online directly with the IRS. We recommend that most business owners use someone who is knowledgeable about the EIN process, like an attorney or experienced CPA (like GMP CPA) to obtain the EIN to make sure it is correctly setup. An incorrect answer to any one of the EIN application questions could have long reaching ramifications. Once you have an EIN (aka the SS-4) for your business, it is probably a good idea to register with your state for payroll and/or sales taxes. We have heard that it is kind of hard to run payroll or pay sales taxes without registering with the state first! The last step needed to officially welcome your company into real life is to open a company bank account. The two things that you must have, besides all kinds of personal identification, is the company’s EIN (Form SS-4 is the letter you will receive from the IRS officially conveying your EIN, keep forever!) and the incorporation information. Certain banks may require more detailed applications than others prior to allowing you to open an account, so it never hurts to ask the bank ahead of the initial visit to prevent any surprises. 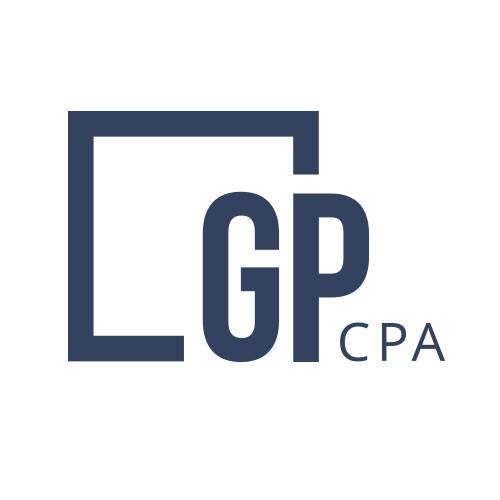 If you have taken the time to read all of the way down to this point, then you are ready to contact the advisors at GMP CPA to take the next step for your business, especially if that business is not yet an S-corp and you would like it to be. We have assisted hundreds of company’s become S-corporations and can start the process for your company as soon as you contact us. For a little more info on how the S-corp will benefit you, check this out.